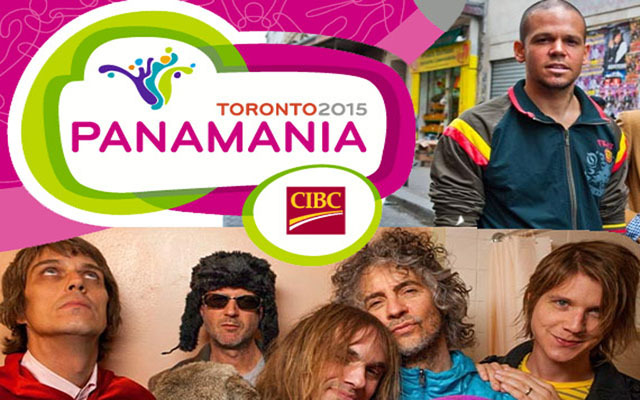 PANAMANIA Live @ Nathan Phillips Square (July 11–26 and August 7–12). Free and open to the public. CIBC Pan Am Park (July 11–25). Free and open to the public. PANAMANIA Live @ The Distillery District (July 11–26). Free and open to the public. PANAMANIA Presentations featuring national and international performances and exhibitions, including 28 commissioned world premieres, presented across Toronto (July 10–August 15). Co-produced with the City of Toronto. Take in more than 130 acts from across the Americas over 23 days. Nightly Victory Celebrations and fireworks. Jumbo video screens with live Games coverage, and a special live broadcasting of the Pan Am Opening Ceremony on July 10. Free and open to the public. See the detailed events schedule for PANAMANIA Live @ Nathan Phillips Square. Where Art Meets Sport – Daily from July 11 to 25. Live stages with more than 50 acts and interactive sponsor activations in the heart of the Games’ largest sport cluster, on the grounds of Exhibition Place. Experience the ultimate street party among the excitement and camaraderie of the Games. Food, music and fun for the whole family. Free and open to the public. Free and open to the public. See the detailed events schedule for CIBC Pan Am Park. Daily from July 11 to 25 (excluding Mondays). Enjoy an immersive experience strolling the cobblestone lanes while taking in the sights, sounds and tastes of the Americas. A multitude of ticketed events to enjoy at The Young Centre for the Performing Arts. Free and open to the public. See the detailed events schedule for Presentations. It Comes In Waves by Jordan Tannahill and bluemouth inc.
PUSH! Real Athletes. Real Stories. Real Theatre. See the detailed events schedule for Presentations.